This creamy, purifying face mask contains natural volcanic clay and specially formulated ingredients such as Tamanu Oil™ for an intensive skin care, to eliminate excess sebum, while the skin is cleansed thoroughly. • Do not dry the mask ! Facial Clay Mask contains natural Volcanic Clay and special compound ingredients including Tamanu Oil™, Coconut Oil. Facial Clay Mask helps to purify, nourish, tone, clear, absorbs excess sebum, reduce blemishes and prevent skin breakouts. • First cleanse your face with Facial Cleanser. Why VolcanicEarth - Europe ? Regardless of your skin type, whether it may be ultra-sensitive, or with dry or oily patches, or you are suffering from acne, you can find the answer to your particular moisturizing needs for both your body and your face. The ideal skin care product should be non-comedogenic, formulated so that it does not cause blocked pores and also high in anti-oxidants, fighting off the free radicals which increase the signs of aging as they damage the skin’s DNA…..known as the “free radical theory of aging”. 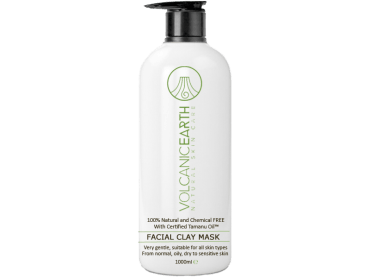 Volcanic Earth products – bring natural products for your skin from cruelty-free sources; with genuine and unique ingredients which have been proved potent in their results. Tamanu Oil not only gives your skin and hair a glossy effect, the oil makes your skin healthy again. 1 Drop Tamanu Oil is sufficient for daily use. Volcanic Earth only uses the DME Method of coconut oil production.Volcanic Earth Coconut Oil is used extensively throughout our skin care ranges and this even extends to our hand-made Coconut Oil Soaps. remove the outer layer of dead skin cells. There are so many more benefits to mention when using pure VolcanicEarth Tamanu Oil, VolcanicEarth Coconutoil, VolcanicEarth Volcanicash. That is why we encourage beauty institutes, wellness resorts, proesthetic clinics, equine clinics, resorts, animal clinics, animal care, barbersalon, barbershops, pharmacies, hairdressers and more to develop their own authentic products. We encourage this. Ask for the possibilities. 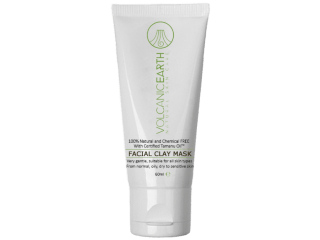 Volcanic Earh Facial Clay Mask contains natural Volcanic Clay and special compound ingredients including Tamanu Oil.